This Nativity set from the island of Madagascar contains twelve pieces: the Holy Family, a shepherd, four animals, an angel, and three wise men. 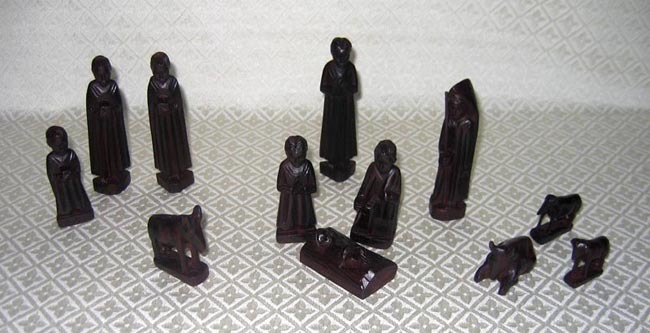 All pieces are carved from rosewood. The Malagasy people carve in a detailed European style (rather than traditional African styles) because these wood carvers learned their carving style from French Jesuit priests. The standing figures are 5 inches tall.